22 July is a difficult film. Any film about the 2011 terror attack and massacre on Utøya island in Norway would have to be. Less expected is the film’s strong political edge. In that sense, 22 July is something of a return to roots for Paul Greengrass. Before taking on the Bourne franchise, the director made a mark with his 2002 docudrama Bloody Sunday, about the Bogside massacre of Northern Irish protesters by British soldiers in 1972. In that film, as in his new one, Greengrass combined his trademark visceral, shaky-cam documentary aesthetic with a strong sense of political urgency. In the interim, Greengrass has experimented with similar real-life tragedies in United 93 and Captain Phillips, but 22 July acts as both a culmination of his project and a refresh. 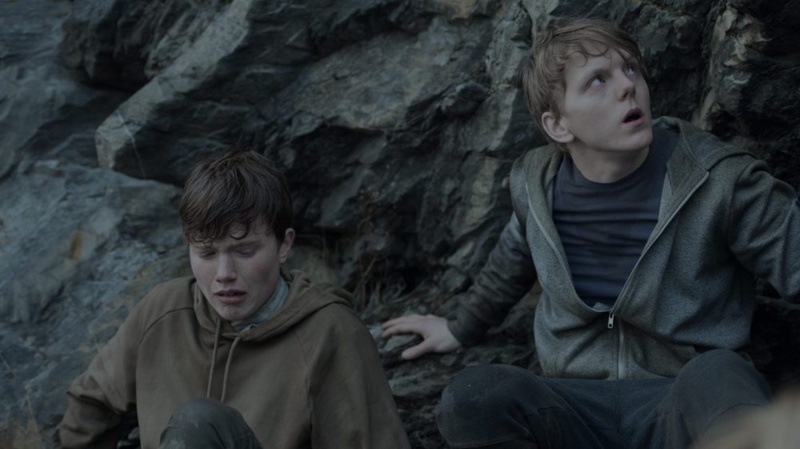 Working with an almost entirely new crew of Norwegian talent, and an all-Norwegian cast (speaking English), Greengrass takes a wide, but still personal view of Anders Behring Breivik’s attack, which left 77 dead and hundreds injured. Given his previous work, some might reasonably have expected the film to be entirely focused on the attack itself. Perhaps thankfully, the massacre—depicted in characteristically visceral fashion—only takes up roughly the first 45 minutes of the 140-minute film. The rest of the time is devoted to the aftermath, and in particular the Breivik’s trial. Greengrass uses the opportunity of the trial and Breivik as a character in the film to present a stark look at the violent implications of the growing far-right movement in Europe and across the globe. Breivik’s twisted ideology is balanced by the story of a young victim on the road to recovery after sustaining massive injuries in the attack. Rather than remaining a story of tragedy, 22 July is a refutation. A call, of sorts, to witness the evil of fascism creeping back into society and double down on the values that stand against it. I spoke with Greengrass at the Toronto International Film Festival, where the film had its North American premiere last month. Filmmaker: So I have to admit to you, I was really wary about watching this movie. Greengrass: It’s a tough subject so I can understand that. Filmmaker: I’ve seen your films, going back to Bloody Sunday, and it is something that you seem to come back to—putting viewers through these kinds of events. Greengrass: It’s not something I mean to do, oddly. Films do find you as much as you find films. This one crept up on me by accident, to be absolutely honest. I had set out to make a film down in Lampedusa in southern Italy, set against the backdrop of the migrant arrivals down there, with the boats. And I was down there trying to figure it out, but the more I worked, the more I felt, you couldn’t not be aware—by the way, this was before Brexit and Trump—that there was unprecedented political change roaring across Europe. Hungary was then in convulsion, Greece, Poland, at that time France looked very bad. Since then it’s just spread like wildfire. So I’m sitting down there and thinking, I’m making the wrong film here. This is not about the migrant experience. This is about what’s happening to the West, truly. There’s like a right-wing counterrevolution going on here, you know? You could feel it. And then that took me to Breivik, and the more I looked at the Breivik story, the more you could see that he was like one of the inciting moments of it. What he absolutely thought he was doing was raising the standard of rebellion, that he would be a hero of that counterrevolution, and that others would follow him, that he was part of a broad movement. I remember coming into the office one day and reading his testimony in court, some of which we use in the film, and it was absolutely chilling. He advanced all the arguments, you know, democracy is a sham, the elites have betrayed us, we need a revolution across the west, enforced multiculturalism, etcetera. Now, those opinions in 2011 were considered shocking and outré, and I’m reading them thinking [that for] any populist politician, that’s mainstream opinion. That’s in seven or eight years. And that’s the moment where I thought [this is it]. And by the way, every moment through [the making of] this film, that decision has become more relevant. With Trump, with Brexit. Filmmaker: The recent elections in Sweden where the far-right party gained seats. Greengrass: Oh my god, a neo-Nazi party. A neo-Nazi party! Filmmaker: They came in third. Greengrass: Yeah, they hold the balance of power. That’s a neo-Nazi party, that’s not Trump. That’s beyond Steve Bannon. And by the way, Hungary, Poland, Italy. The foreign minister in Germany last week denouncing Nazi salutes in the streets. The AFD youth wing. That’s a massive German popular force that’s now under surveillance for being anti-democratic. We are facing a unprecedented rebellion against globalization. That’s really what it is in my view. To go to your question about “why?” I suddenly thought, well, this is obviously a film like United 93. It’s one of those films where you choose a moment. You try and explore a particular moment in the belief that if you look at it in its granular detail it has resonance. It will tell you about where we are today and where we’re going, and that’s the DNA of our times. Greengrass: —but then becomes something different. Filmmaker: And it does feel like it’s making a kind of a statement. Greengrass: That’s absolutely correct. I remember going to see [former Norwegian Prime Minister] Jens Stoltenberg, who’s now Secretary General of NATO, and he said, “You’ll obviously have to ask permission from the families, but I really hope you make this film because this is growing fast, this far-right threat.” It’s finally here, and it’s going to get much worse, and it’s got to be confronted. But the first step is to open our eyes to what’s happening. It’s not about me making a statement. I know what you mean. Of course every film is a statement, and every film is an act, as it were. Filmmaker: But the political valence of this one seems more clearly on the surface. Greengrass: Well, I have a slightly different view to some of my colleagues, without disrespecting any of them. What I like to do with these films is hold a mirror up. I like to choose a moment, and if you can choose the right moment, whether it’s United 93 or this one, and then explore it in its granular detail, with dispassion and compassion—they’re sort of two contrary things—and with fairness, and truthfully, and without loading the dice towards a political agenda…. And you have to allow the film to speak to you when you’re making it. In other words, you can’t so constrain it that you’re telling it what it’s meant to be. I remember when I was very young, I’d have been about 21, and I joined Granada Television, which was a wonderful company, and I owe them very, very much for the way they trained me and taught me. I was in the documentaries area there. I was sent down a corridor on the third floor, filled with cutting rooms on each side, to meet a man called John Slater, who sadly died some years ago, who was a pretty good documentary filmmaker but a really superb teacher of young people. I was told I was to be his researcher on a documentary. And afterwards I thought about that, and I’ve never forgotten that, because he taught me something that’s so fundamental about film. Of course we don’t have film these days, but the essence of it is that film is of its nature unruly. It spews and coils everywhere, and your job as a filmmaker is to master its unruliness and create an order to it, but you can’t do it by going like that—[squeezes arms]—because you’ll destroy it. You’ll put folds in it and damage it. So you’ve got to both listen to it and allow it to find its own shape and contour, but also impose contour and order on it, and in that paradox is the mystery of film and the beauty of what making films is all about. I felt very alone on this film, in a good way. I liked it that I was doing a lot more listening to [the Norwegian cast and crew] because this was their story, their tragedy, they’d all lived through it. Wonderful actors, none of whom I knew. New crew, I didn’t know any of them, Pål Ulvik Rokseth, the director of photography, a brilliant young Norwegian DoP. It reminded me very much of that lesson because you get to a certain place as an established filmmaker, and you’ve got your team and you move from one movie to the other, and it reminded me of the most important thing in filmmaking, which is to listen. Listen to your material, listen to what it wants to say about itself. And of course you have to deploy your point of view in a film, but you listen as well as talk. If you do that, it reminds you that humility is at the heart of successful filmmaking. 22 July is now streaming on Netflix.